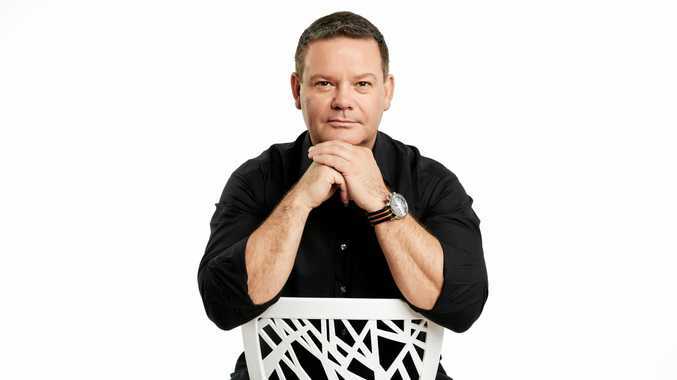 MasterChef Australia judge Gary Mehigan has released a series of mini ebook cookbooks. Q: Why did you decide to launch Undercover Cook, and why did you choose Undercover Cook as the title of the series? A: I have a lot of fans overseas, and get asked about buying my books, but it tends to be too cost restrictive to post them. We thought this was a great way of sharing recipes regularly with different themes, and in a way that many people can access. We are also going to do an Android version. As for the title, I wanted the recipes to be approachable, and many people expect my recipes to be cheffy and masterclass in style, so we thought this sounded like a bit of fun. Q: With the multitude of recipes you've created over the years as a chef, how did you decide which ones to feature in Undercover Cook? A: I picked the ones I still cook at home. The Lamb Tajine is a favourite, and I still get many people send me notes about it being a favourite of theirs. The Chocolate Honeycomb is something we made at Fenix, and I think it's a great recipe for the kids. There are a few easy mid week dishes, like the Poached Chicken, Potato Wedges and Persian Fetta Omelette, and some to impress family and friends like the Bastilla and Swordfish recipes. Q: How many books are you planning in the Undercover Cook series and how often will they be released? A: I hope to do one every second month, some will be about the seasons, some might be about a celebration or time of year. Might do a brekkie one, I love a good breakfast, and cooking at home is a great way to spend a Sunday. Might even do my top 10 Souffle recipes, but we will be inspired by the feedback we get from the public as well. Q: You've got a lot of fans around the world who love watching you on MasterChef. Do you think this year's series will be a hit with them? A: We are excited about this year. We have some great contestants, and challenges and guest chefs. The team just keep coming up with more inventive ways to challenge the contestants and inspire the viewers. Can't believe they keep paying me to eat and talk about food! To make the sable pastry, using an electric mixer, cream the butter and sugar, then add ¼ teaspoon salt; the mixture should be pale and creamy. Add the flour and mix to combine, then add the egg yolk. Continue mixing until the dough is cohesive and smooth. Turn the dough out onto a floured bench (it will be very soft). Sprinkle the dough with a little more flour and bring together with your hands into a ball, kneading gently once or twice only. Flatten with your fingers until 2 cm thick, then wrap in plastic film. Refrigerate for 20 minutes. Roll the dough between two sheets of baking paper, sprinkling it with a little flour and rolling it out until 1mm thick. Refrigerate for 15 minutes to firm up, then mark out 24 4cm squares with a large knife. To make the choux pastry, bring the milk, water, one teaspoon salt and the butter to the boil in a heavy-based saucepan over high heat. Add the flour and sugar and, using a wooden spoon, stir for one minute or until the mixture thickens and starts to pull away from the side of the pan. Reduce the heat to medium, then cook the mixture for a further 3-4 minutes, stirring constantly; it should pull away from the side of the pan and be quite smooth. Remove the pan from the heat and leave the pastry to cool for 5 minutes. Add one egg at a time and beat with a wooden spoon until smooth after adding each one; the pastry should be nice and smooth after adding each egg. Add the egg yolk and beat until the pastry is smooth and shiny. Transfer the pastry to a piping bag fitted with a 1cm nozzle and set aside. Preheat the oven to 180C fan-forced (200C conventional). Line 2 baking trays with baking paper. With the tip of your finger, smear a little of the choux pastry on the corner of each tray to help the paper stick. Pipe the choux pastry on to the trays to form 4cm rounds, leaving a 2.5cm gap between them to allow room for puffing. Cut out the 4cm squares of sable pastry, then gently lay a square on to each choux round. Bake for 15 minutes, then reduce the oven temperature to 160C fan-forced (180C conventional) and bake for another 15 minutes to further dry out the choux buns. Transfer the choux buns to a wire rack and leave to cool. Place the chocolate and hazelnut spread and mascarpone in a medium-sized bowl, then mix together with a flexible spatula and set aside in the fridge. Prepare two piping bags each fitted with a 5mm nozzle. Place the whipped cream in one and the chocolate and hazelnut cream in the other. Make a hole in the side of each bun with the tip of a small knife. Fill half of each bun with the whipped cream and then fill the other half with the chocolate and hazelnut cream. Serve.